Famed for the friendliness of its people and affectionately known as "The City of Light", Alicante is an international destination where many come to enjoy an excellent Mediterranean lifestyle and an enviable climate. Lucas Fox boasts an elite selection of real estate for sale in Alicante, offering the most select apartments in the city centre, impressive villas and homes with views of the beautiful port. Approaching the Port of Alicante from the sea, we are immediately struck by the unique light and invigorating energy that characterizes this fascinating city. Home to the "Real Club de Regatas", one of the most important nautical clubs in Spain, this port offers sailing and rowing classes and has been the training base of many Olympic and world champions. Pure air and bright, clear skies are the backdrop to day-to-day life in Alicante; ideal for working with enthusiasm and making the most of leisure time with friends and family, whether enjoying a spot of golf, sailing or sunbathing. Tennis players are well catered for with the prestigious school run by Juan Carlos Ferrero, winner of the Roland Garros Tournament and, if horse-riding is your thing, nearby you will find one of the best dressage training centres. As for gastronomy, the city boasts a good selection of exclusive restaurants to choose from and a number of superb wine bars. Leisure and enjoyment is what Alicante does best - take a stroll along virtually untouched coves on the Costa Blanca, climb up to the fabulous Castle of Santa Bárbara, sail out to the neighbouring island of Tabarca or pamper yourself in the city’s exclusive boutiques and luxury spas, What’s more, thanks to its strategic location, the city is within day-trip reach of many other fascinating places to visit. Far from being just a tourist destination, Alicante is a thriving cosmopolitan city and a fast-developing region with great potential in terms of business and real estate. A dynamic economic space with a variety of international business events, prestigious schools, colleges, a university and EU institutions as well as medical research centres of international prestige. A well-established international community has provided a location with quality lifestyle services and excellent links to both national and international destinations by road, rail and air, Despite its forward-thinking, cosmopolitan vibe, this beautiful city still cherishes its long-held traditions such as the spectacular fireworks that mark the start of summer on the night of San Juan, the joyful Moors and Christians festivities and the moving Holy Week celebrations. Also a city steeped in culture, Alicante offers world-class plays at El Teatro Principal, an International Film Festival and concerts that take place in the auditorium known as ADDA; worth a visit for its impressive architecture alone. 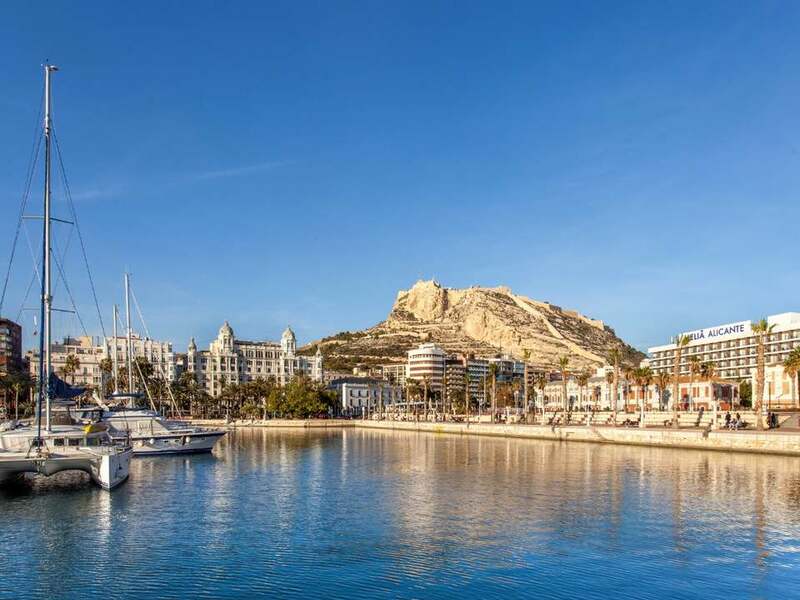 Our Properties in Alicante City are in the most sought-after locations such as the bustling city centre, the traditional centre and the port, Santa Cruz and the historical centre and the Mercado and the Ensanche-Diputación neighbourhoods. 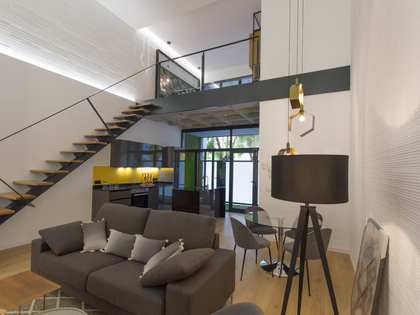 Lucas Fox offer real estate in Alicante City ranging from sleek contemporary design penthouses with vast terraces and privileged views to free-standing villas with gardens and private pools and everything in between. Generally, property buyers come to Alicante in search of a permanent residence for the unparalleled quality of life enjoyed here and also investors as they know that real estate in this area has and always will offer great returns. Lucas Fox offer a wide selection of properties with sea views, which tends to be a priority for international buyers longing to live out their Mediterranean dream. 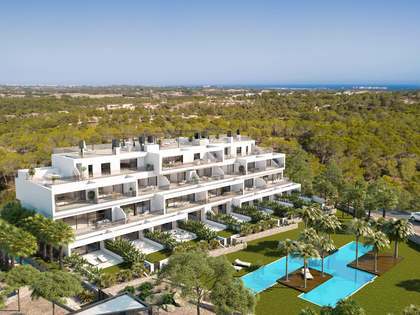 There are a large number of exclusive villas on the market as well as a variety of new development and new build homes. Whether seeking a permanent home to relocate to, a holiday property or an investment opportunity, clients may benefit from our expertise in the local market, our wealth of experience in the field of real estate and our uncompromised level of professionalism at every stage of the sales or rental process. Browse through our attractive catalogue of premium properties for sale and rent in prime locations in Alicante City and contact us for further information.